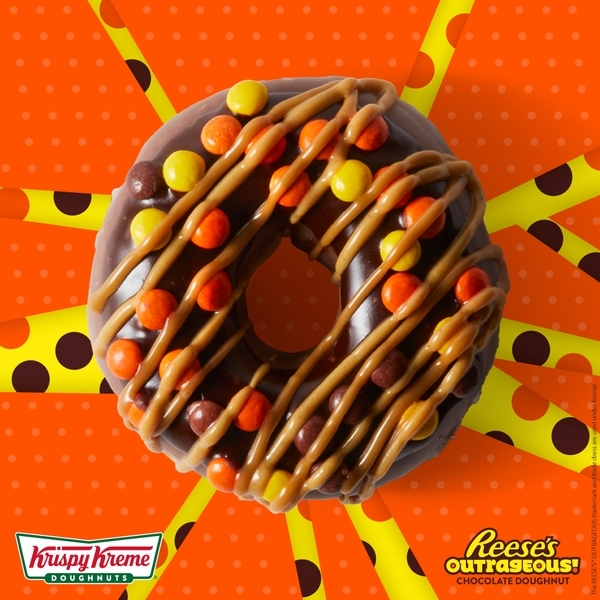 "This is hands down the most outrageous doughnut experience we’ve created! 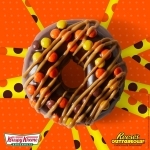 The Reese’s Outrageous Doughnut strikes a perfect balance of taste and texture sensations with an airy chocolate doughnut, gooey caramel and peanut butter drizzle, and classic crunch of Reese’s Pieces"
WINSTON-SALEM, N.C.--(BUSINESS WIRE)--Krispy Kreme Doughnuts and the Reese’s brand are at it again, this time creating the most outrageous doughnut experience ever! The new Krispy Kreme Reese’s Outrageous Doughnut is available starting today, Aug. 6 for a limited time at participating Krispy Kreme shops in the United States.